Getsmartcoders has over 10 years of experience in providing data visualisation services to businesses across a range of sectors. Over the years we have attained great expertise in parsing, interpreting and presenting data in the most engaging, aesthetic and easy-to-understand way and across multiple platforms. As an expert data visualization company, we specialize in developing both static and interactive dashboards for analytical and operational purpose. Our static dashboards are customizable, all-in-one and are designed to deliver succinct and digestible views of your KPIs. We ensure our dashboards empower the user to filter and drill into visualized data for deeper and more niche information. Our process begins with identifying right business questions and KPIs and combining it with best data visualization practices to deliver results that has a positive impact on your business. At the same time, we commit ourselves to deliver dynamic experiences by incorporating engaging and fascinating elements to make dashboard usage more addictive and motivating. We have wide experience in developing executive dashboards, sales dashboards, marketing dashboards, call center dashboards, social media dashboards, healthcare dashboards etc. Klipfolio is a cloud-based ready-to-implement dashboard platform with pre-defined thresholds, and indicators for easy analysis and alerts. You can use it to plug in all your data and generate accurate reports in quick time. It can be used to automatically retrieve data from thousands of data sources and generate normal and real time reports. Additionally, we customize the look and feel based on your requirements or your branding standards. Tableau helps you build a visual command center in minutes. Our tableau dashboard services are designed to put you at the helm of data parsing with real-time accuracy. Our tableau services include custom tableau portal design, rendering analytics with tableau, and tableau deployment on premise or cloud. You can leverage our services to empower yourself with self-service BI and visualize and analyze data in the most effective way possible. We also specialize in developing custom dashboards for data visualisation to meet end user requirements and business needs. We have wide experience working with Google Data Studio, Domo, Power BI etc. to support data visualization. Our custom dashboard solutions come packed with advanced features like filters, drill downs, making charts or tables respond to each other, include custom built widgets etc. We specialize in a gamut of data visualization consulting services. These include consultation on visual design, consultation on data visualization prototypes, consultation on specific charts and filters to be incorporated, consultation on hardware support, review of completed data visualization work, consultation on training, comparing and bench marking visualization products etc. We also offer consultation on tableau integration and migration. Our data viisualization support and maintenance services is designed to help you get complete control over your dashboard performance. You can leverage our services to overcome issues like downtime or have a predictive or preventive maintenance plan in place. We also help you otimize your dashboard for further development of the existing system. Besides, we assist in migrating dashboards from one analytical system to another. A clear visual is critical for critical insights. Our data visualization service is tailored to create compelling visuals so that you know at one glance which data points tell the best story. Our services help you sift the grain from the chaff. Our data presentation is so neat and aesthetic, that you can recognize trends or outliers easily and with absolute precision. We design dashboards to user specific requirements. This makes visualization less confusing and more insightful thereby leading to enhanced productivity. Not all dashboard visualization solutions are designed to answer questions from different angles. We solve this problem by providing user specific drill down and filtering options. In the age of mobility, we do not believe in limiting our customers to a desktop version. We develop solutions that are responsive and can be viewed with equal ease on all devises. We sit with you to understand who will use your dashboard and how. Knowing your audience helps us design dashboards as per their consumption needs and target the right platforms. Your dashboard must be in sync with your business metrics and KPIs. Before starting a project, we acquaint ourselves with these metrics and sometimes help you discover metrics that would matter. Based on this understanding, we decide on the elements to be incorporated (heat maps, infographics, sparklines, bar, pie, fever charts etc). Once this is finalized, the development pocess begins. On completion of the dashboard we test and tweak it for effectiveness. User-driven feedback from the client is collected to make the dashboard meet the specific objectives of your audience. Our team of dashboard visualization developers consists of engineers, UI designers and web analytics experts. They are ably assisted by BI software developers. 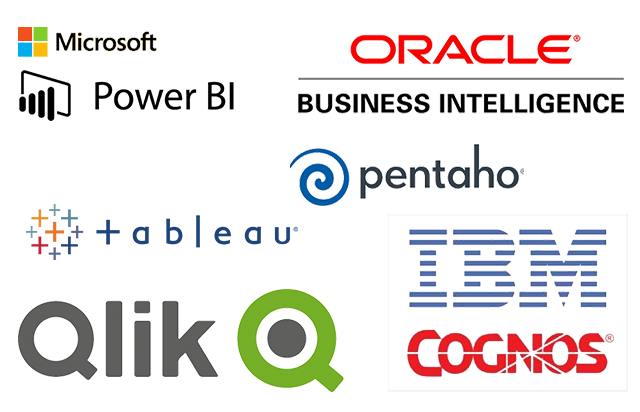 All of them work in-sync utilizing the latest technologies to deliver the best deisgn and data solution for your needs. 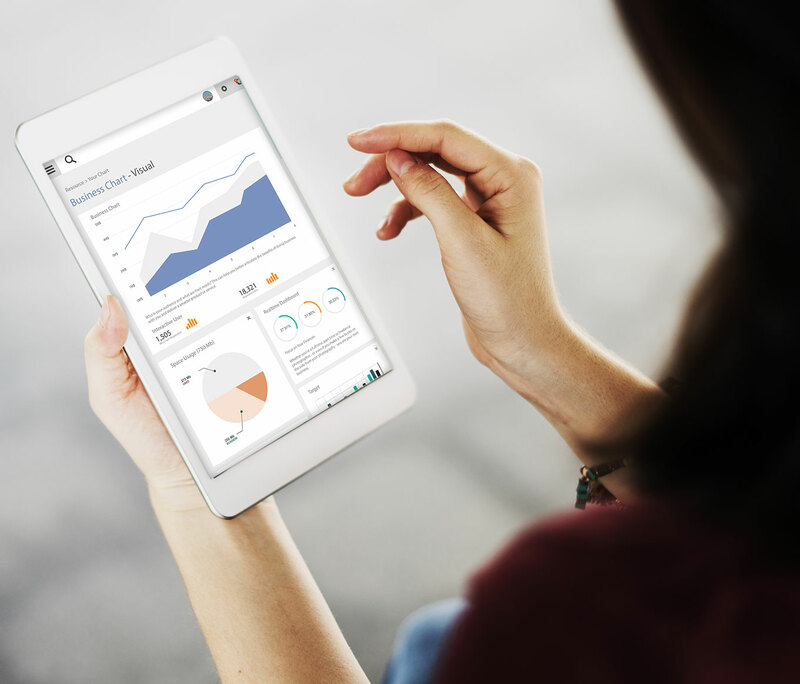 All our experts, have minimum 5 years of experience in developing customized dashboards. We leverage their expertise and experience to meet the highly specific requirements of our clients. It’s because of our strong team and well-established process, that our clients prefer to outsource data visualization requirements to us. Looking for the best data visualization services company? Outsource data visualization services to GetSmartCoders. Get in touch with our experts now.